Bible Cartoons: 2 John goes green! False teacher ejected from church! 2 John goes green! False teacher ejected from church! 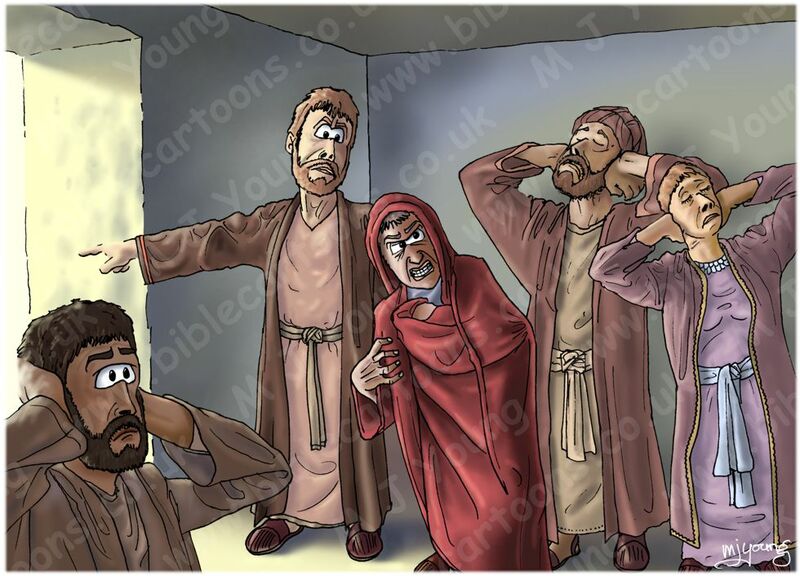 I have just completed my very first Bible Cartoon for the New Testament book of 2 John. The scene shows a false teacher being sent out of a 1st Century Christian church. I am one step closer to making all the remaining red boxes on the BC website’s “Search by Bible Book” page turn green. A red box indicates I haven’t drawn any Bible Cartoons drawn for that book. Now I only have 2 books of the Bible to illustrate (3 John & Jude) & then I’ve done at least one Bible Cartoon for each of the 66 books of the Bible.